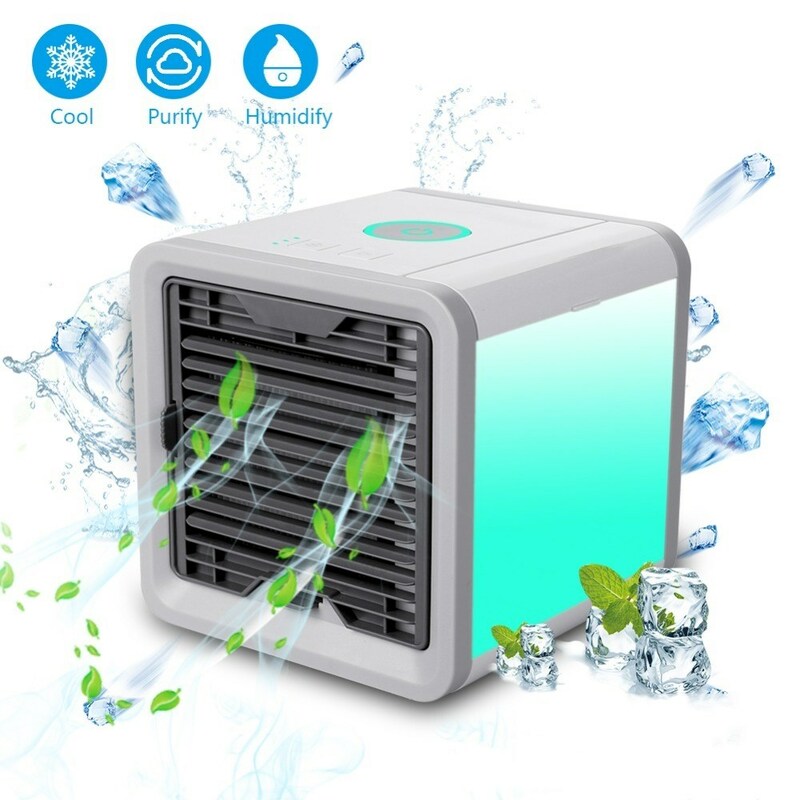 Home › NEW Air Cooler Arctic Air Conditioner. Great for the kitchen or any room. NEW Air Cooler Arctic Air Conditioner. Great for the kitchen or any room. What happens if your A/C breaks down or needs to be replaced? You can suffer until you can get a technician out to fix it, or replace it. Now you can use this as a great backup for when this happens. 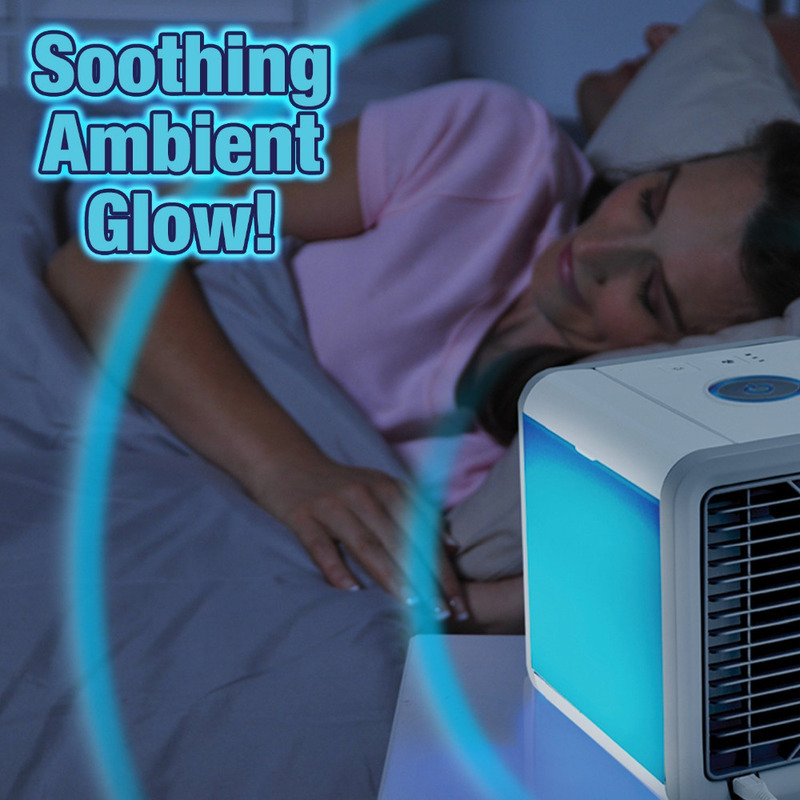 The whisper-quiet fan and soothing night light make it perfect to use throughout the night for a comfortable sleep! The built-in LED mood light can be set to any of its 7 color options, set the color-cycle mode or turned off with the touch of a button! Running other air conditioners all day long can cost a lot of money and take up so much space! Some of them even have to vent out a window, making it very inconvenient. Arctic Air sleek compact design fits nicely on your desk, nightstand or coffee table - wherever you need it! 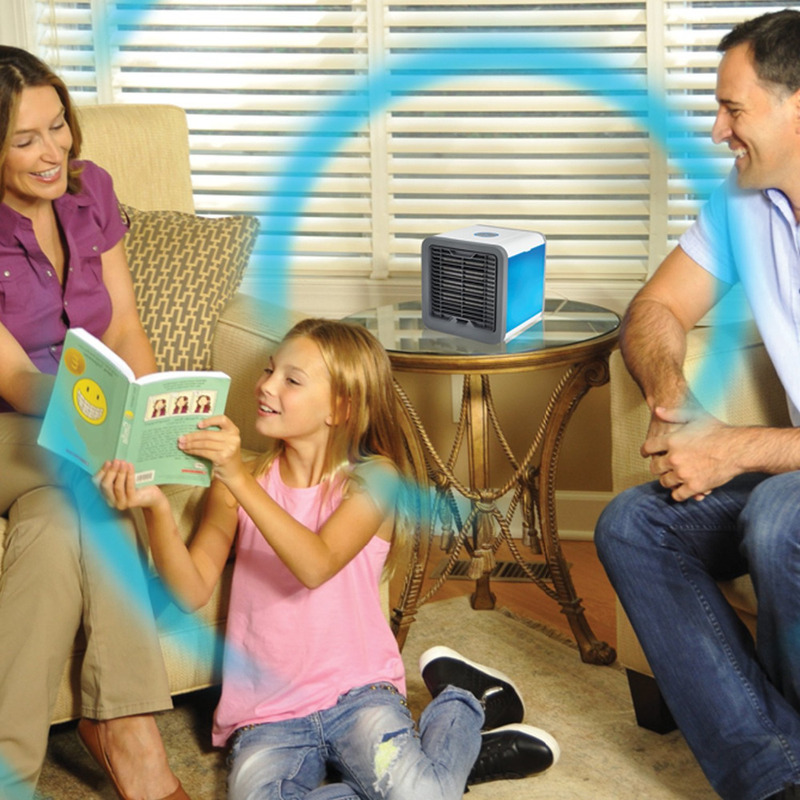 It's great for dens, reading nooks, work, dorm rooms, offices, home offices, campers, workspaces, benches, basements, garages and more! It's lightweight & even convenient for travel! Great for outdoors too! It's not just safe to use but energy efficient! 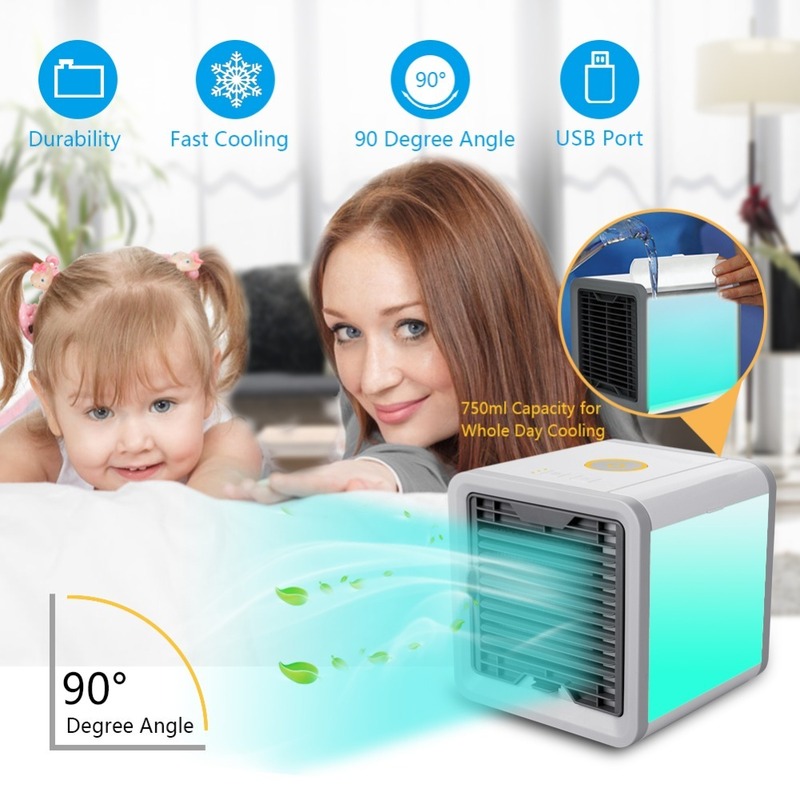 This personal space air cooler actually cools the air around you, where you need it most while using the size and power consumption of a small fan! 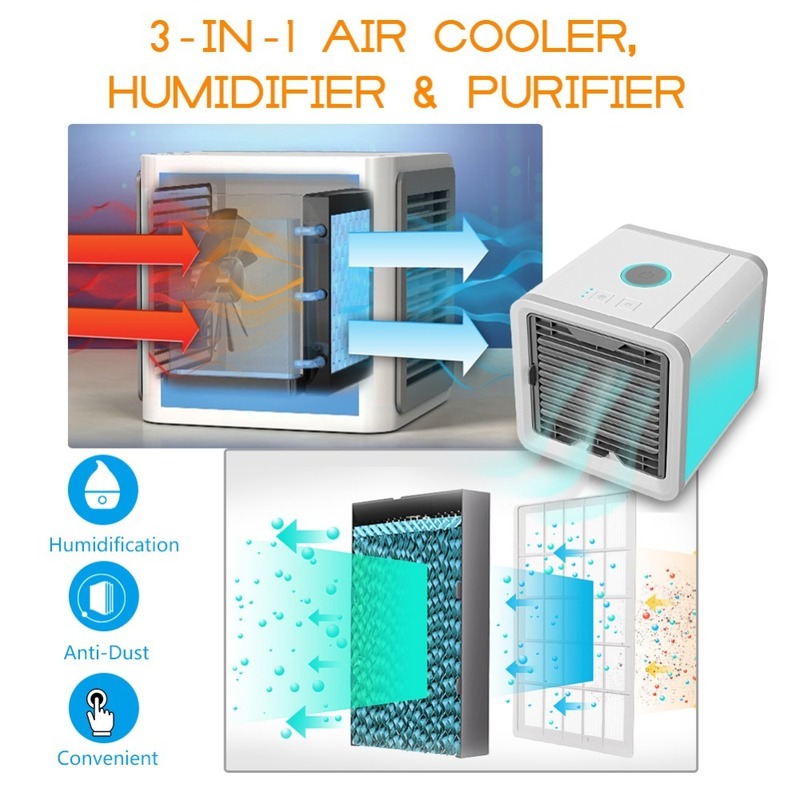 Personal Space Cooler that Lets You Create Your Own Personal Comfort Zone Cools, Humidifies, and Purifies for Better Air! Easy-Fill Water Tank Lasts Up to 8 Hours! Freon Free, Energy Efficient & Eco-friendly Compact & Powerful & Ultra-Quiet Operation Built-In LED Mood Light - 7 Different Colors with Color-Cycle Option! Product details: 1* Air Cooler Device Size: 17*17*17 cm. NEW Air Cooler Arctic Air. Personal Space Cooler, Quick & Easy Way to Cool Any Space. 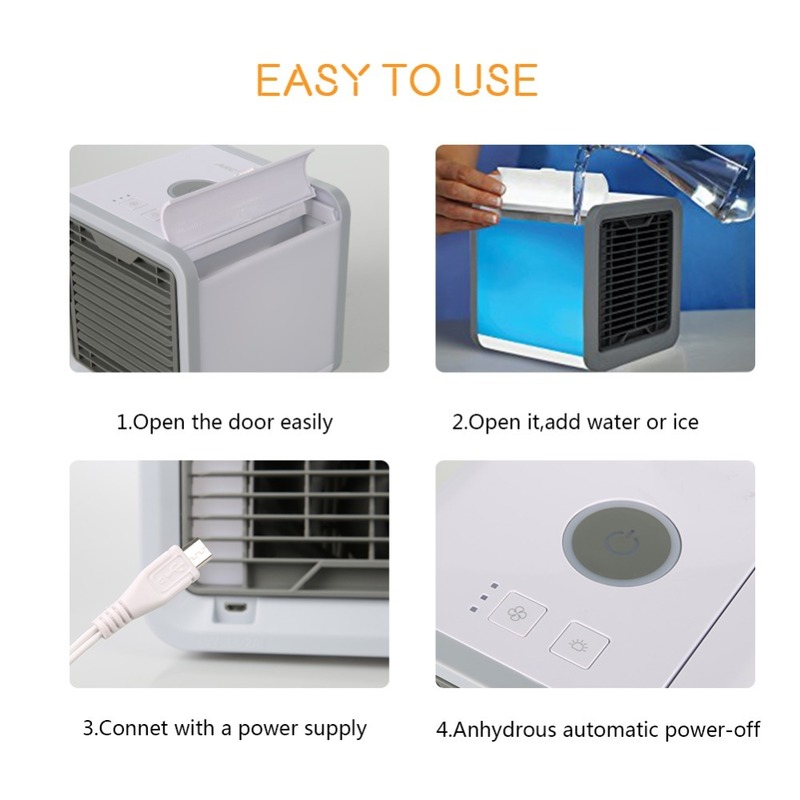 Air Conditioner Device for your Home or Office Desk. -Just add water, plug it in, and turn it on. 1. Keep the small personal air cooler balanced, don't tilt it when working. 2. Add pure water or household tap water, to avoid affecting the cooling function. 3. Adding 3/4 Water in the Tank is the best, Do Not Fully Fill. 4. Please do not let it run out of the water every time. 5. Use a toothbrush to clean the water tank once a week, to keep it clean and healthy. Black 15" Non-Stick 5 in 1 Divided Skillet. Rapid Thawing Meat Tray Defrost all your Meats in Minutes.